So dumb question- were Gatos identified somehow either with hull numbers or name visually during the war? It seems like especially late war, there is no way to identify the particular ship. ..were Gatos identified somehow either with hull numbers or name visually during the war? No. Numbers would help enemy tracking of sub movements, so once the war commenced, numbers were obliterated. Many submarines had plaques with cartoon logos that were hung on them in port. Also popular were in port battle flags, such as Barb's battle flag: https://www.ussbarb.com/ships-flag. 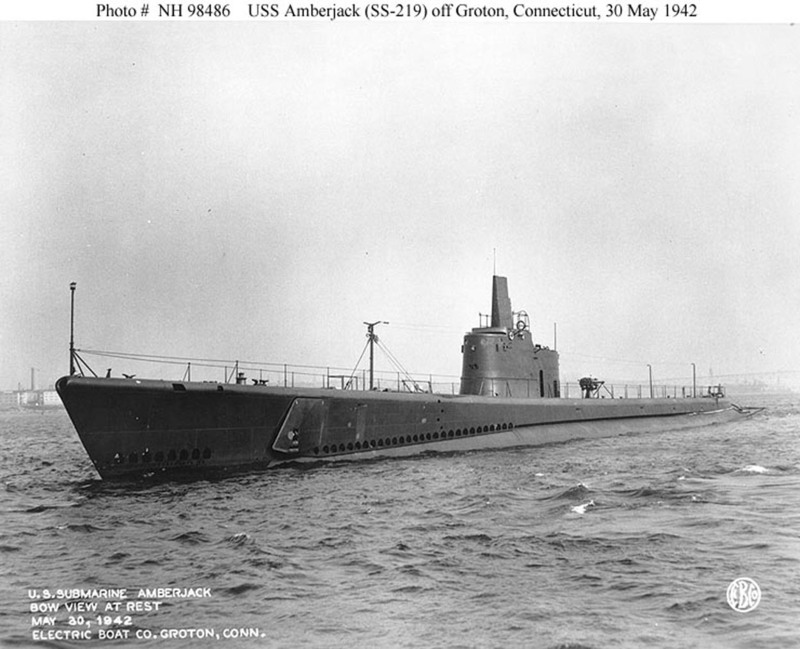 Modern US submarine also do not have hull numbers or names on them. You will see numbers during sea trails, but once they are commissioned the numbers are gone. Hi all, I've just started on the Revell 1/72 Gato and whilst I may not go overboard in the detailing, I'll be adding some Eduard and WEM PE and a few other details soon haven't ruled it out. If I'm making that effort, I'm curious to know if the raised panel lines as per the kit - the joins in the hull plating - are correct. As in, was there a visible weld line between plates? Or should they be recessed and/or have rivet lines like the Eduard deck side plates show? I've scanned through this thread so sorry if I missed a prior answer, and my PC died so I'm trying to zoom in on navsource pics on my phone which isn't ideal. Not sure if I'd rescribe them if required yet, but I'd like to know if I should for accuracy (especially if I buy aftermarket tower and other bits, then it's worth the effort against the investment). Any advice or links to clear pics would be greatly appreciated. After looking at some photos of the kit, I think the weld lines are way oversized. The weld lines are only prominent in the superstructure/casing. They are barely visible on the outer hull below the superstructure. It also seems that the superstructure is riveted aft of the bow planes. As far as I'm aware, all of the lines are proud of the surface and not recessed. I would recommend searching around on Navsource to get a good feel of what a typical boat looked like. 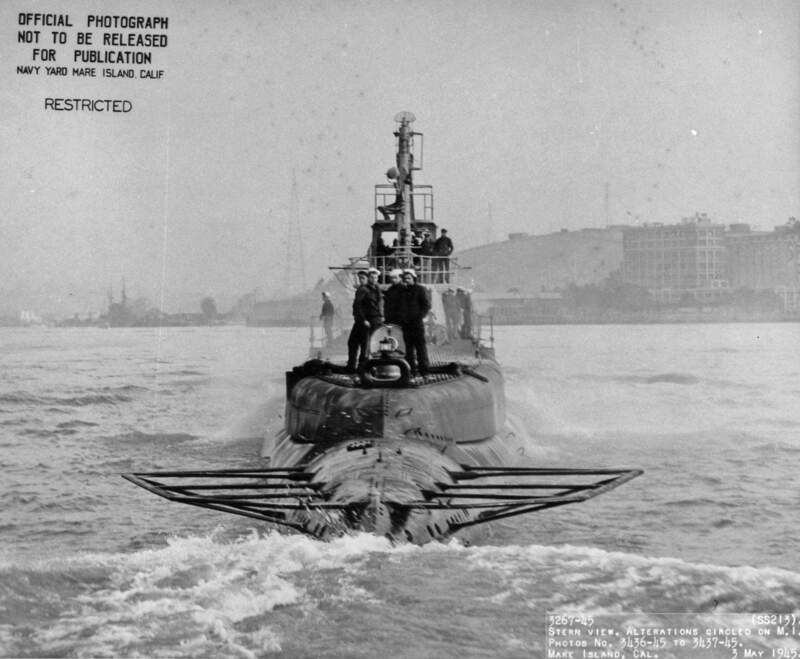 You can also look at photos of museum ships that weren't converted to Guppys/Fleet Snorkels/SSKs. Thanks Jacob. I should have a new PC on the weekend so will do a better search of Navsource. I did think the weld/plate lines were too big (they'd protrude the thickness of a hand or so in real life so seemed thick) so will sand them down and look at adding the rivet detail where it's absent. May as well make the effort! Weighing in late on this point, as I was teaching an intense science course in Europe. Not directly in line, but as Jacob indicated, weld lines are barely visible. Currently, Electric Boat submarine hull welds are ground down to within 1/16th of an inch of the hull after the multiple weld passes. This is to minimize hull friction with the water, which costs speed and can generate noise. I don't know what WWII standards were, but the welds were probably ground down fairly flush with the hull as well. In Revell's defense, they probably did the best they could with a protruding thin polystyrene piece that was still suitable for injection molding, and figured it was better to have some representation of welds than none at all. Dragon/DML represented modern sub hull weld joins with recessed scribed panel lines. 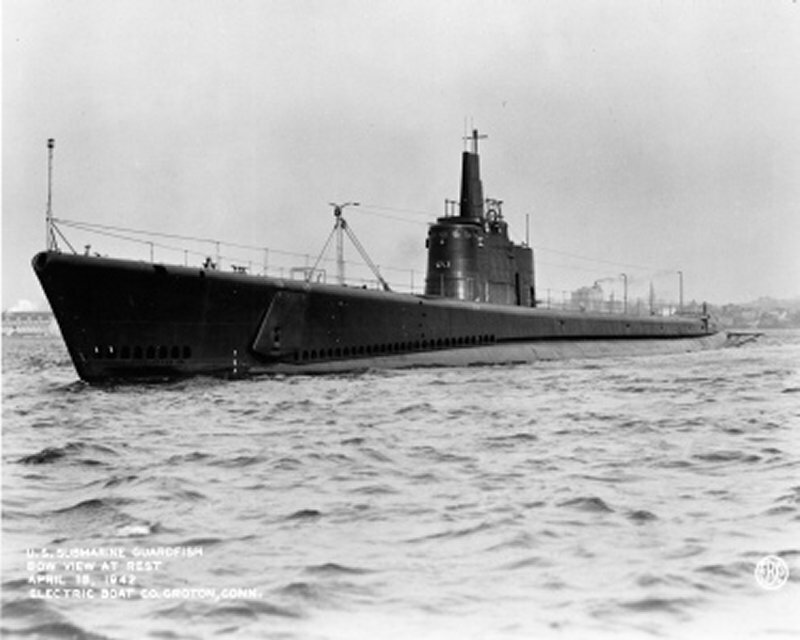 Recessed panel lines on submarine hulls?? Really?? 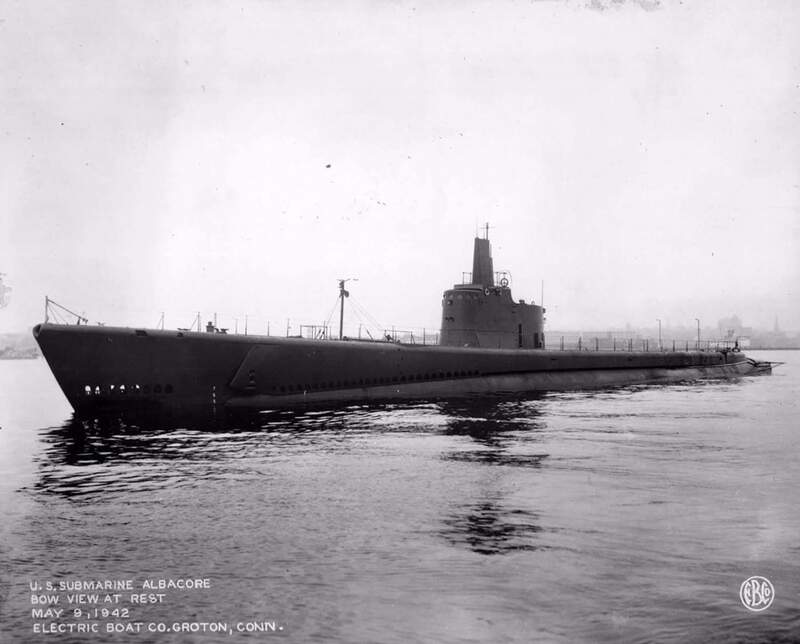 The only authentic "panel lines" on modern submarines would be for hatches, sail access points, external small storage (line lockers, cleats, etc.). Welds would be invisible (at 1/16th of an inch at 1:1) for 1/700 and 1/350 scale. If they wanted to be more accurate, how about adding the hull bottom ballast tank flood vents & louvers. Without those, it's not a submarine. Here're two photos I took of the Pampanito in San Francisco, if it helps - under the particular lighting condition I had, the weld lines are quite prominent in the bow area, while the midships had plenty of raised rivets and overlapping plates. Not sure if construction techniques changed much between the Gatos and Balaos though. Any tips for correcting big issues on it? Except for over exaggerated hull plating which are gonna be sanded off. I plan to make it with retracted masts, so would folded or open rudder position be better to match to that? Painting - do you think it is all black, grey black, or black - red? I am leaning to black overall Measure 9, but welcome to hear your arguments. Oh, and Deck - some greyish black or..? A 1941 Gato would be all dull black. They were never red below the waterline once the war broke out. When you say "rudder folded" I assume you mean the bow planes? Those would be folded on the surface and deployed underwater. If the masts are not deployed, it could be on the surface. 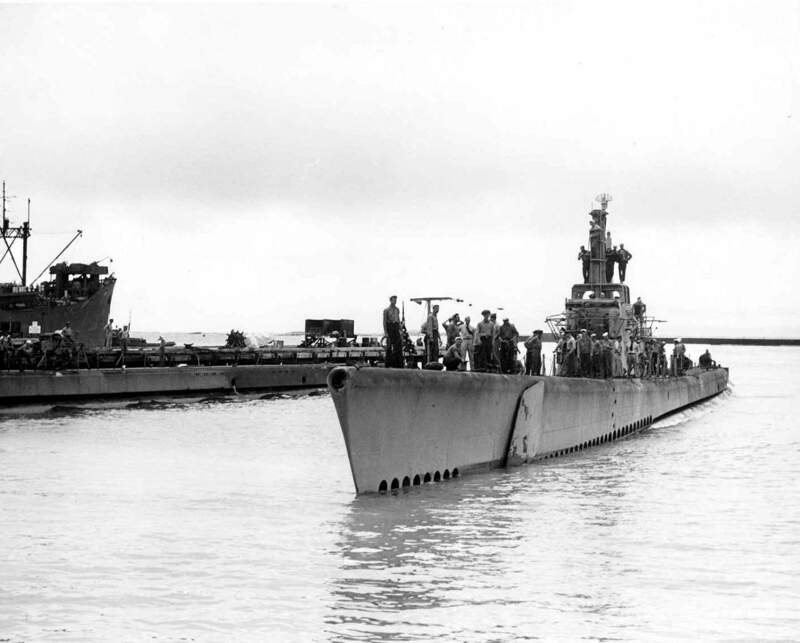 Later in the war the Gato conning tower fairwater was cut down, with metal plating removed, which is why the 1944 version looks so different. Also they went to a different color measure (actually a couple) which had light and dark gray, black decks and black below the waterline. Guns were changed out as well to large caliber. 1) Are there good plans for the antenna placements on the early Gatos? 3) The prop guards are either with two or three bars, as two types are offered by Toms Modelworks. 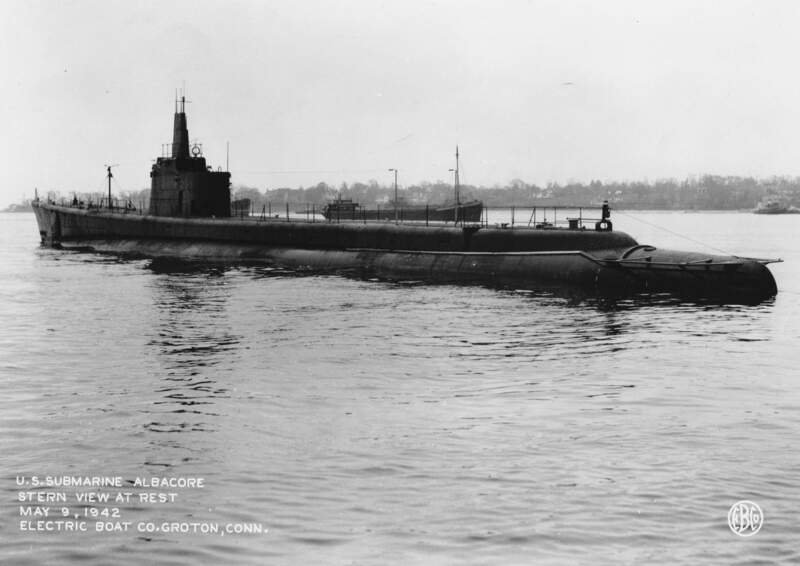 For early Gatos, SS212 Groton built one, which style prop guards it had, do we know? That also answers your question on how many circular windows, which are actually called deadlights. Seven. 1) Is that a boom crane I see on front deck? Was it always up? 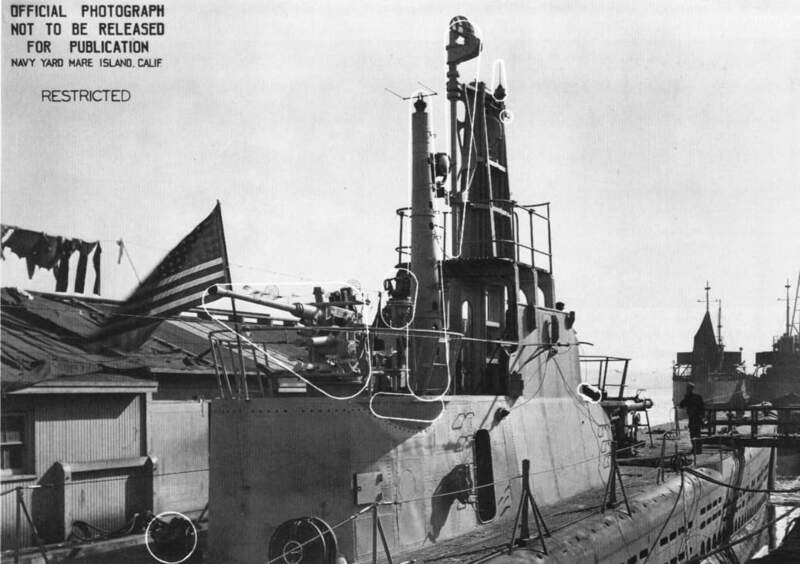 2) is that a life ring preserver on the conning tower near the front? What colors were they (all red I assume?). I got a few spares so might be installing it also. Feedback is appreciated, your knowledge seems spot on. Super happy about not needing to install the prop guards - as it is seemingly optional. 1.) Which photo are you talking about? It's probably torpedo loading gear, as the torpedoes are lowered into the forward and aft torpedo rooms on an angle. 2.) As far as I can tell from films and photos, almost the entire war was fought in black & white. Seriously, probably red or white for the preserver ring. 1) Probably it was torpedo loading gear crane but I see it used as an antenna support (Y) shape... Either way, was it taken down when diving? 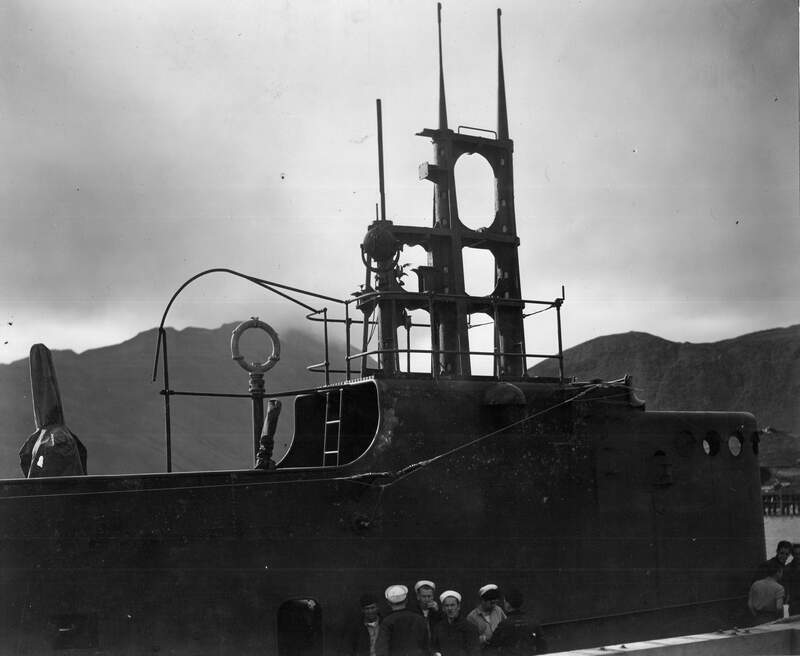 2) There were few antennas on them - and I mean early Gato with full conning tower, ca 1941. Do we know location of these on some plan? 3) Prop guards - you said they were removable- This is only partially true. Some had them welded on, like half of them, and there were 2 styles - with two or three supporting bars. I think the early ones had two bars and were thicker on the outframe- right? 4) Railings on the early Gato... Now this is puzzling - did it have the usual railing all around the deck? 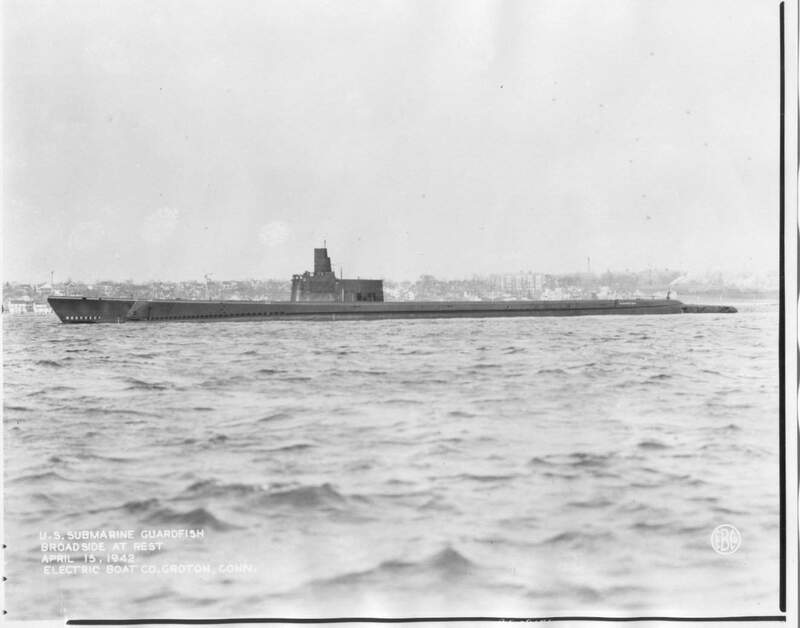 Or just around conning tower, and then some mid-deck along axis placed railings fore and aft? I know that arrangement is seen on late war Gato, but what did the early war Gato have? 5) See below pic - is this accurate? Any big errors you see? 1. So when you call out something in a set of photos, I am trying to guess which photo and what it is in the photo you are talking about. You need to be specific. As to 1.) those are antenna supports. Only. And they were permanently rigged. 2. The early Gato antennas were mostly wires strung on insulator supports. The wires from the bridge to the forward antenna post (the Y shaped post) are an example. Wire antennas continued pretty much throughout the war, although the later Balao had the wires strung aft only to two posts. Some of the Gatos were modified to this configuration later as well. 3. It would depend on the yard where they were built. 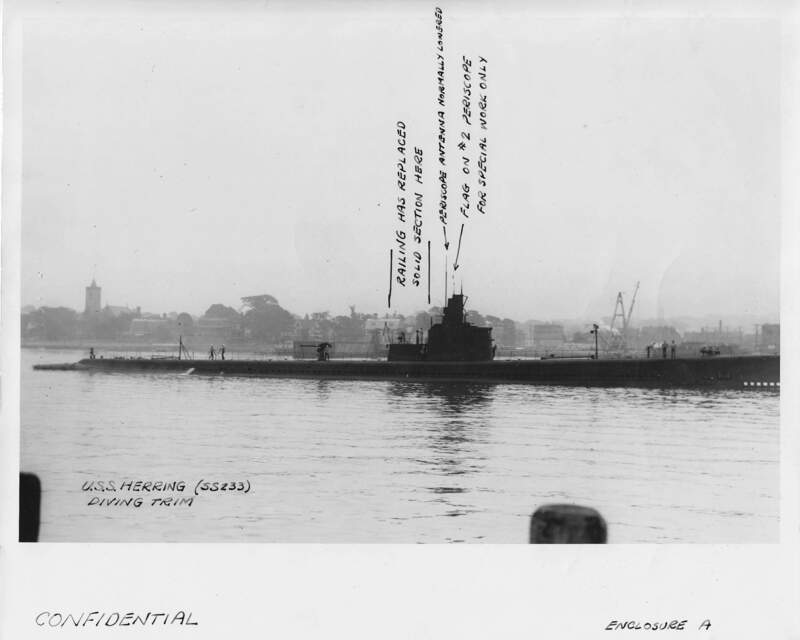 The plans for Electric Boat were also employed by Manitowoc; Portsmouth plans were also used by Mare Island and Cramp. 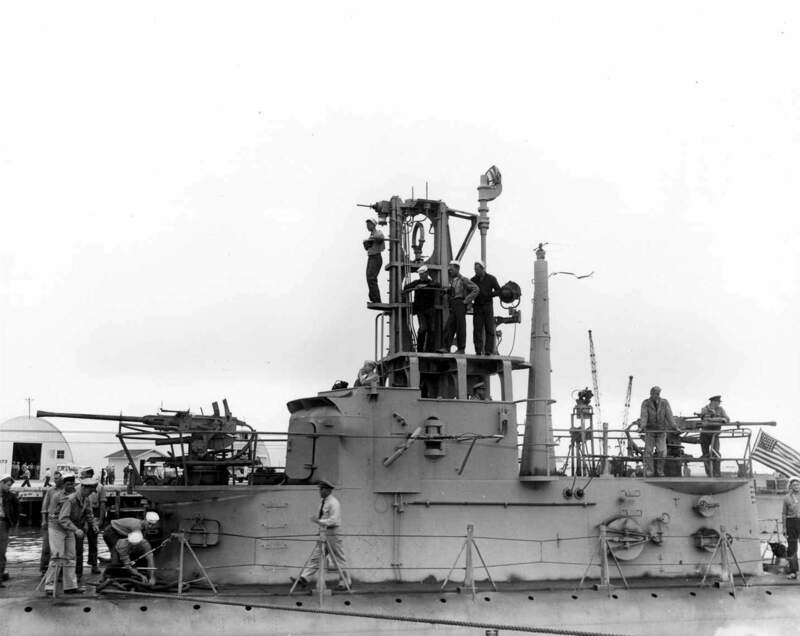 Items such as prop guards, anchor positions and other details were different depending on where the submarine was built. 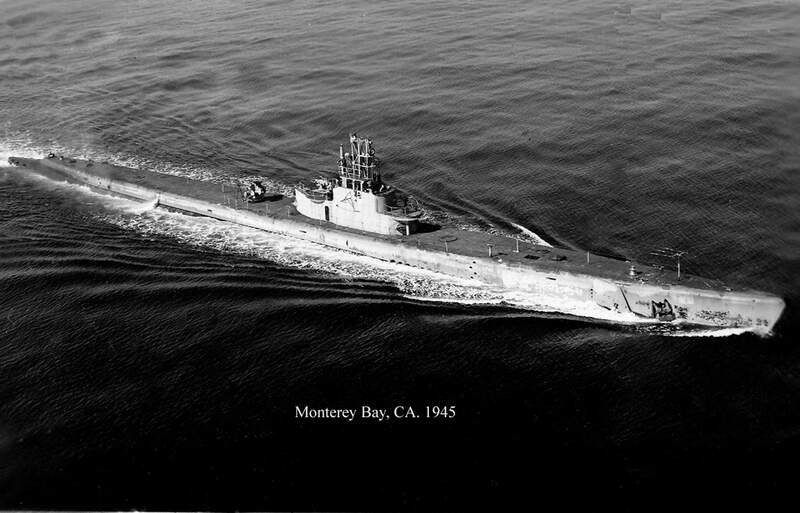 Later in the war, modifications were made by the yards to different plan sets and skippers were given some latitude in items such as gun placement, lookout areas, etc. The best advice for accuracy is choose one boat in one time period. 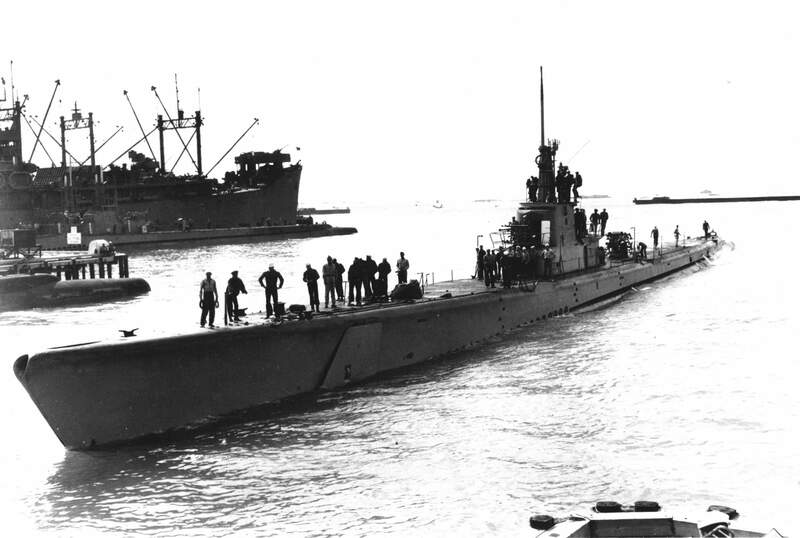 If you look at Gato in 1941 and Gato in 1945, you would think they were two different submarines with the many modifications that were made. 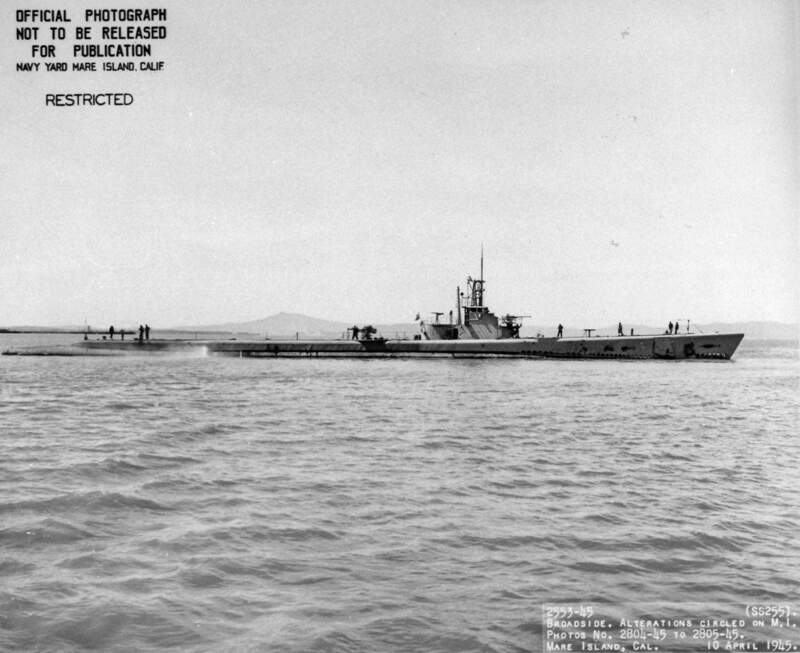 Radio antenna, radar antenna sets, fairwater cutdown, other items were all modified several times during the war. 4. There were some permanent railings, usually around the deck gun vicinity for the crew and a single one down the centerline of the submarine. These initially were metal piping but were usually replaced with wire railings. Some of the wire railings were removable for submerging, some were left in place, usually the wire railings near the fairwater and gun. Note also the wire antennas fore and aft with the prominent antenna supports on deck. 5. That would be a Gato right after launch, with railings all around. I would have used dark material for the wire railings and antennas. I have some very fine dark wire used for fly timing. Thanks Tom, I took a lot of your comments into account for my Gato build. Lots of good info. I ended up with early SS-212 but not particularly tied to launch event or service days. You should submit it to be posted as one of the builds here. I always enjoy seeing complete models! Today's Zulu class Russian submarine is very good; I have a couple of Polar Bear resin kits (Golf II and Hotel) to build myself. Though noone is commenting, may be it is not so commonly visited forum. Trust me I took most of what you said to influence this build. And if you like the Zulu, you'll be happy to know I am also making the Romeo from Type 033 in 1/700 scale. I like Soviet boats, so there will be some from me.